Yesterday the weather was a tad gloomy, and I was in the mood for tea. 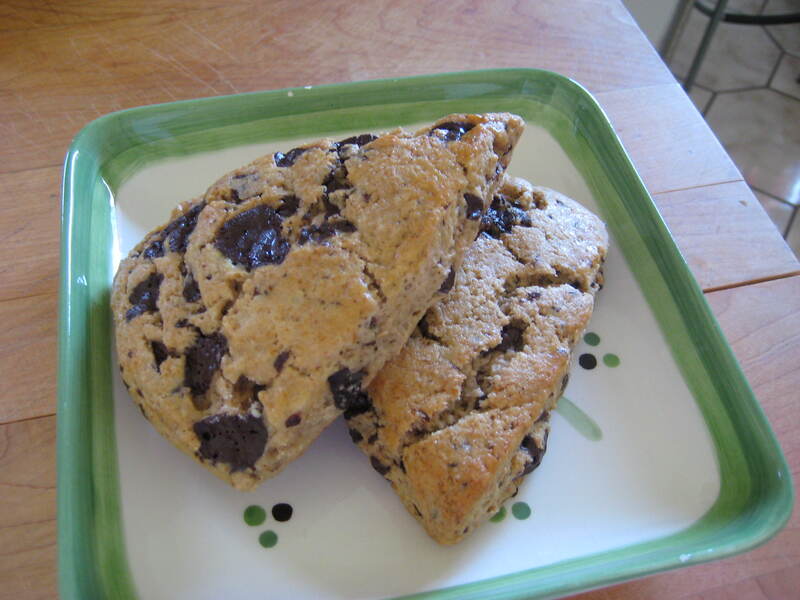 What better to go with a cup o’ tea than some scones? 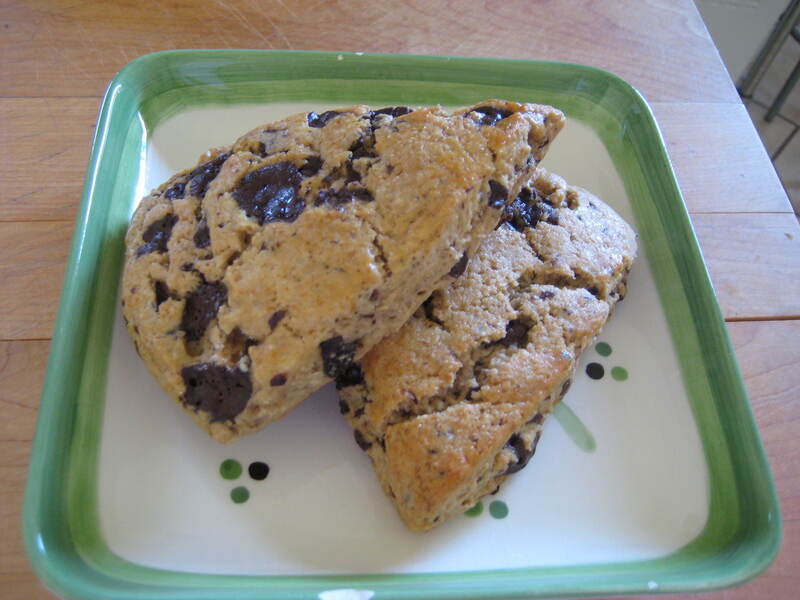 Better yet, tea-flavoured scones! The ingredients. Very basic pantry staples that anyone would have at home. Straining the infused cream. Make sure to press all the liquid out of the tea bags, to get all that yummy flavour out! Mixing all the dry ingredients. Turning out the dough on a lightly floured surface, then cutting into wedges. After baking they came out pretty gigantic (about the size of a large man’s fist!!) so next time I make them I think I’ll just roll it out and use cutters to keep them petit. After an egg wash and a light sprinkling of sugar. Fresh out of the oven, with the chocolate still gooey. The scones came out very tender, and the earl grey gave it a lot of warmth and a bit of a cinnamon undertone. Would not hesitate to make again! In a small saucepot, submerge tea bags in cream and bring to a boil over medium heat, then turn off heat and let steep at least 30 minutes, covered. Preheat your oven to 375F. 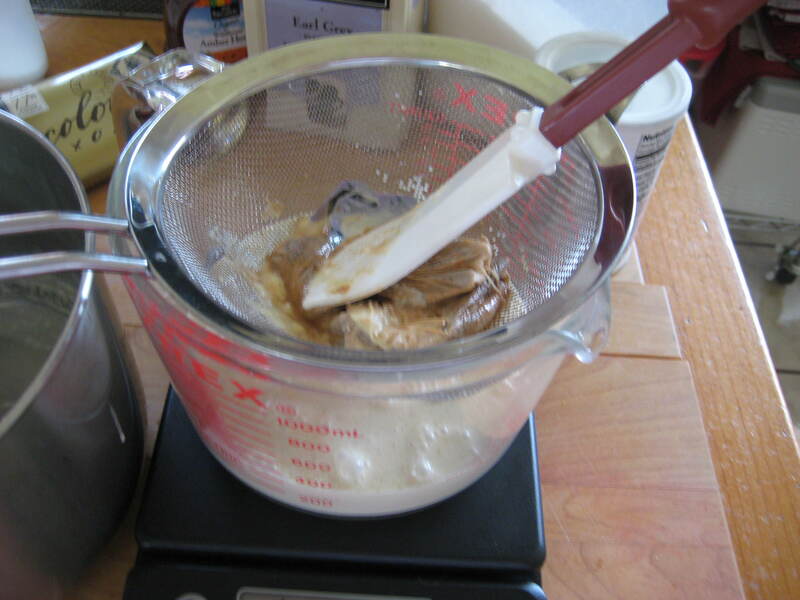 In a mixing bowl fitted with a paddle attachment, combine your bread flour, sugar, salt, and baking powder, and mix until there are no lumps. 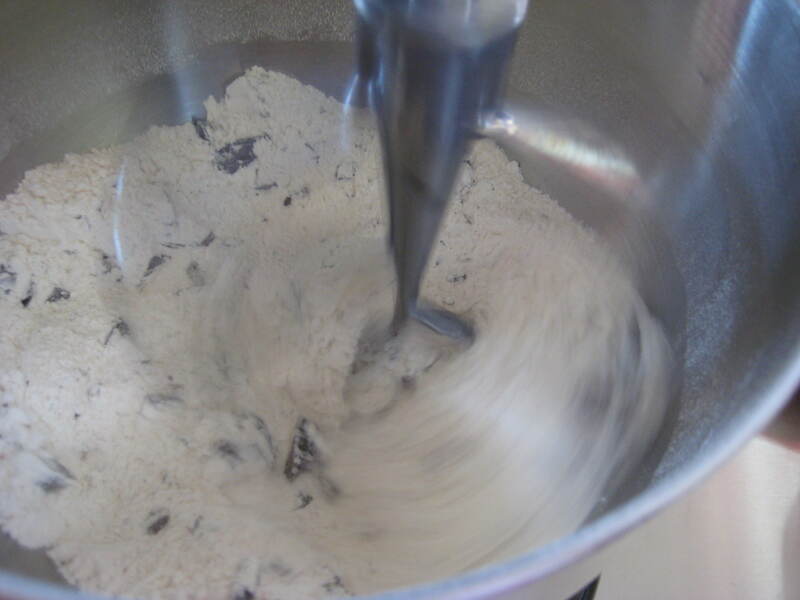 Add chocolate chunks and mix until combined. Strain infused cream, pressing on tea bags to get any excess liquid out. 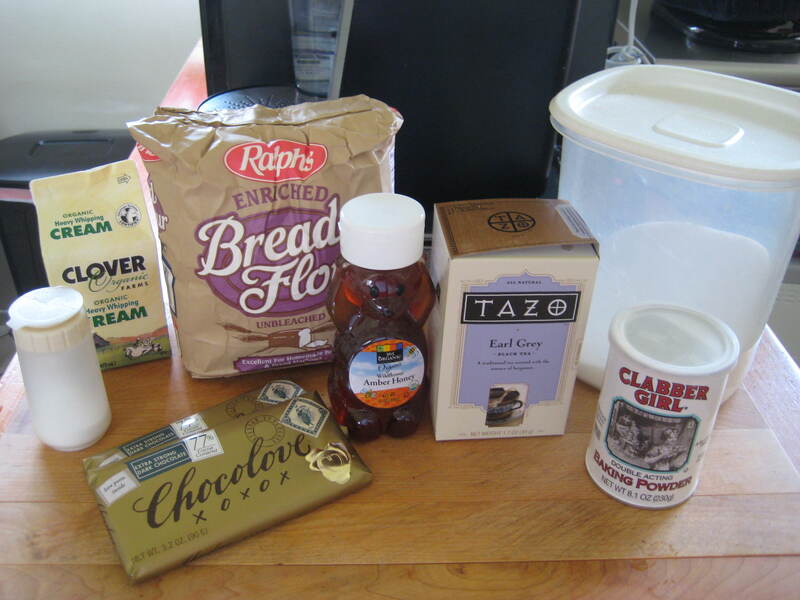 Whisk together cream and honey, then add to mixing bowl with dry ingredients. Mix on low just until all ingredients are combined. 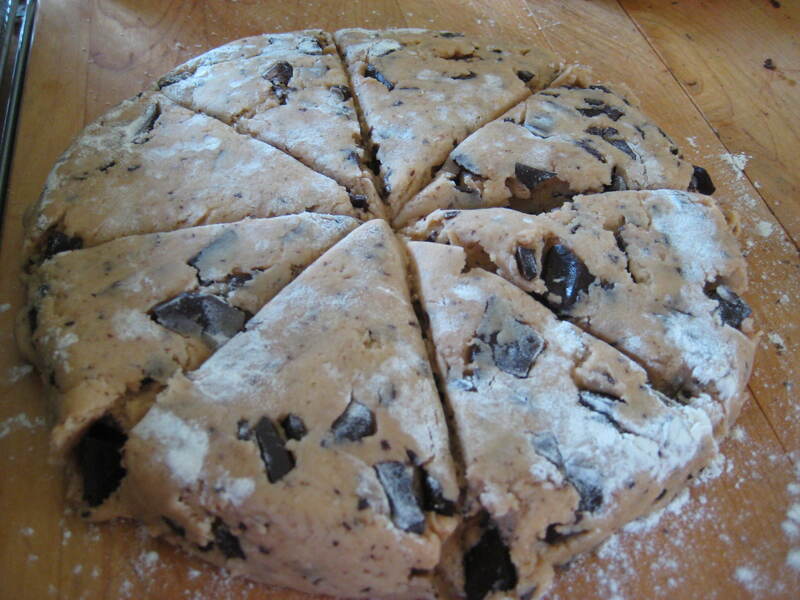 Flour a 8″ round cake pan or mold, then press dough into pan. Turn dough out onto a lightly floured surface, and cut into 8 wedges. 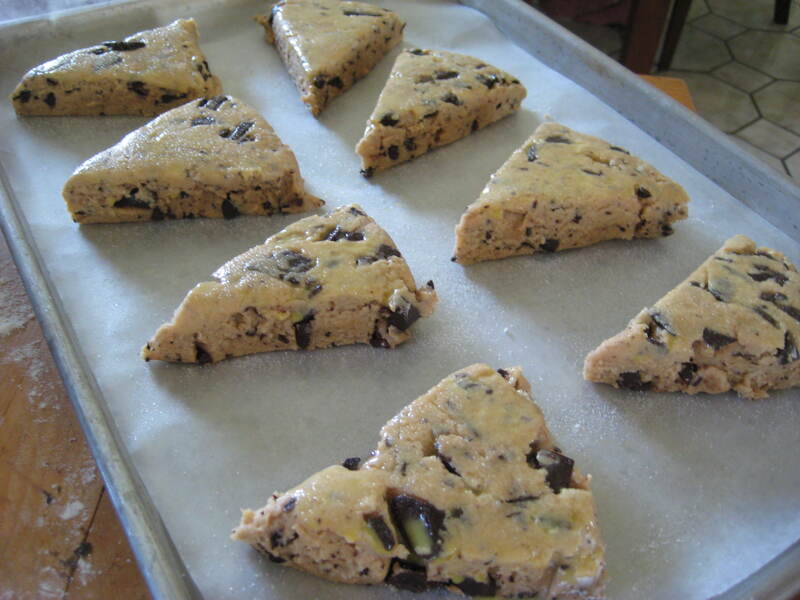 Separate wedges onto a lightly greased sheet pan covered with wax or parchment paper, keeping scones 1″ apart. Whisk together egg and 1 tablespoon water, then brush over tops of scones. Sprinkle tops lightly with granulated sugar. Bake 18-20 minutes, or until tops are golden brown and scones are cooked through. Let cool and enjoy with a cup of tea! Looks like a good combo!